COLOURS: If you want a bespoke RAL colour you must state this in the comments field when ordering & we will contact you for details. Note there will be a 10% surcharge. What is the purpose of the Appliance Truck Long? 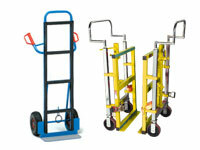 The Appliance Truck Long is perfect for heavy or bulky loads. 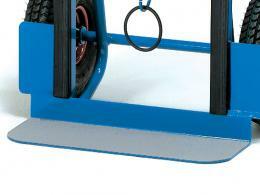 It can hold up to 350kg of weight and can make your day to day work much easier. Instead of ruining your back as you try to lug heavy boxes from one place to another, use the Appliance Truck Long and make your work easier, lighter, and more efficient. The Appliance Truck Long is the kind of sack truck that can be used just about anywhere. Whether its moving small loads around a factory or transporting boxes through the office, the Appliance Truck Long will give you the support, manoeuvrability, and functionality that you need. Who might use the Appliance Truck Long? This is a basic, straight forward heavy duty sack truck that anyone can use. 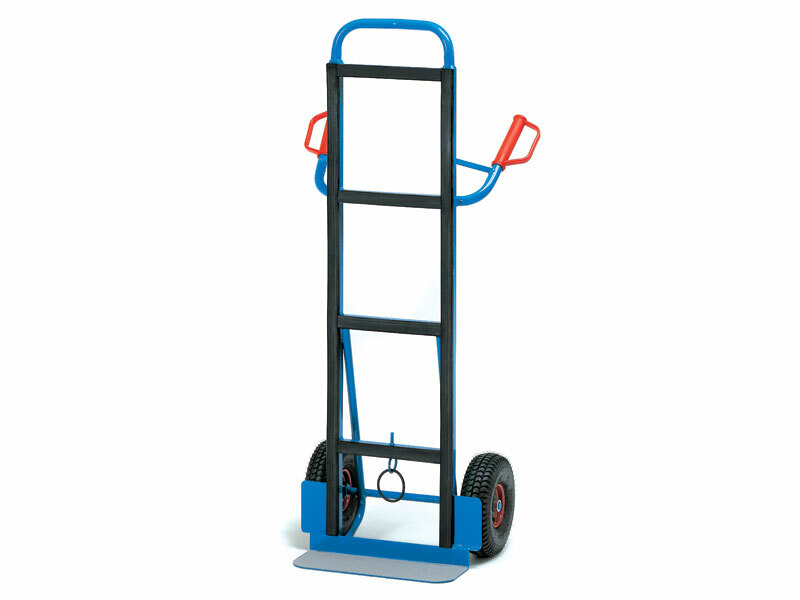 Your staff will appreciate the way this hand truck makes it so much easier to transport things like boxes of files, merchandise, stock, et cetera. Plus, they will save time as they will be able to transport more items in one trip. The Appliance Truck Long is a rugged sack barrow with widely spaced handles that give you ultimate control. The footplate measures 450 x 150mm and has a non-slip cover. 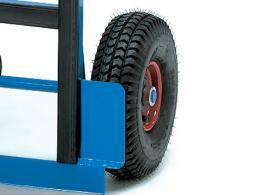 The 260 by 85mm pneumatic tyred wheels are durable and the make the Appliance Truck Long ideal for a wide range of environments. While the Appliance Truck Long traditionally comes with a blue powder coated finish, it is now available in a variety of colours. Get yours at an affordable rate with our price match guarantee and we will deliver it for free in 10 to 15 working days. It comes with a 10-year warranty for parts and labour and we are proud to provide easy returns and exchanges, though we highly doubt you will have any reason to want to return it.